The boom in oil and natural gas drilling is deepening the uncertainties, geologists acknowledge. Drilling produces copious amounts of waste, burdening regulators and demanding hundreds of additional disposal wells. Those wells — more holes punched in the ground — are changing the earth's geology, adding man-made fractures that allow water and waste to flow more freely. "It's assumed that the monitoring rules and requirements are in place and are protective — that's assumed," said Gregory Oberley, an EPA groundwater specialist who studies injection and water issues in the Rocky Mountain region. "You're not going to know what's going on until someone's well is contaminated and they are complaining about it." Ohio environmental officials — aided by the EPA — investigated for some 15 years. They concluded that the wells were mechanically sound, but Aristech had injected waste into them faster and under higher pressure than the geologic formation could bear. In April, 1967 pesticide waste injected by a chemical plant at Denver's Rocky Mountain Arsenal destabilized a seismic fault, causing a magnitude 5.0 earthquake — strong enough to shatter windows and close schools — and jolting scientists with newfound risks of injection, according to the U.S. Geological Survey. 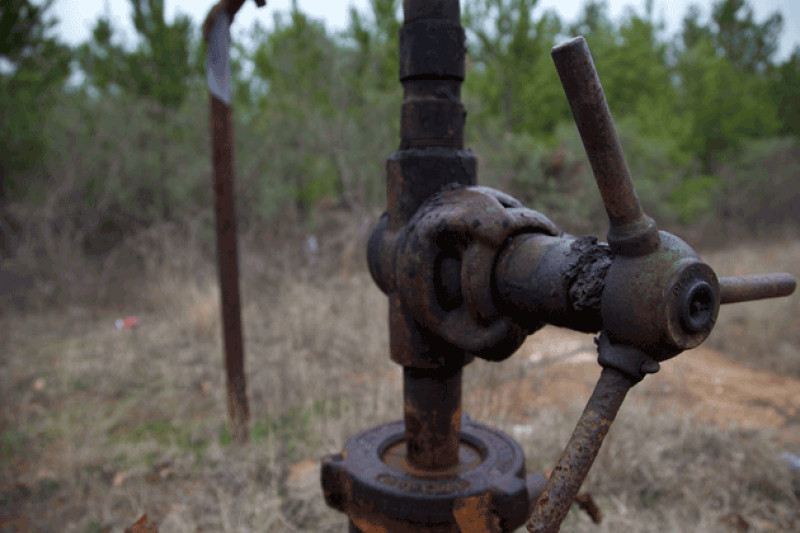 Even with stricter regulations in place, 17 states — including Alabama, North Carolina, South Carolina and Wisconsin — banned Class 1 hazardous deep well injection. The agency also began to hold companies that disposed of hazardous industrial waste to far stiffer standards. To get permits to dispose of hazardous waster after 1988, companies had to prove — using complex models and geological studies — that the stuff they injected wouldn't migrate anywhere near water supplies for 10,000 years. They were already required to test for fault zones and to conduct reviews to ensure there were no conduits for leakage, such as abandoned wells, within a quarter-mile radius. Later, that became a two-mile minimum radius for some wells. As federal regulators toughened rules for injecting hazardous waste, oil and gas companies argued that the new standards could drive them out of business. State oil and gas regulators pushed back against the regulations, too, saying that enforcing the rules for Class 2 wells — which handle the vast majority of injected waste by volume — would be expensive and difficult. The new approach removed many of the constraints on the oil and gas industry. They were no longer required to conduct seismic tests (a stricture that remained in place for Class 1 wells). Operators were allowed to test their wells less frequently for mechanical integrity and the area they had to check for abandoned wells was kept to a minimum — one reason drilling waste kept bubbling to the surface near Chico. Soon after the first Chico incident, Texas expanded the area regulators were required to check for abandoned waste wells (a rule that applied only to certain parts of the state). Doubling the radius they reviewed in Chico to a half mile, they found 13 other injection or oil and gas wells. When they studied the land within a mile — the radius required for review of many Class 1 wells — officials discovered another 35 wells, many dating to the 1950s. The wells — which had helped fuel the growth of South Florida by eliminating the need for expensive water treatment plants — had passed rigorous EPA and state evaluation throughout the 1980s and 1990s. Inspections showed they were structurally sound. As Class 1 wells, they were subject to some of the most frequent tests and closest scrutiny. The wells' designers would have calculated what is typically called the "zone of influence" — the space that waste injected into the wells was expected to fill. This was based on estimates of how much fluid would be injected and under what pressure. But as Miami poured nearly half a billion gallons of partly treated sewage into the ground each day from the late 1980s through the mid 1990s, hydrogeologists learned that the earth — and the flow of fluids through it — wasn't as uniform as the models depicted. Florida's injection wells, for example, had been drilled into rock that was far more porous and fractured than scientists previously understood.